I mentioned in the boheme thread that I have just been in the US on an interfaith program in Chicago and New York, and spoke of my disappointment at missing the Met debut of Australian soprano Nicole Car. However, I was able to escape (with permission) one night in Chicago, and went to the CSO and Muti doing Shostakovich 13, the Babi Yar. It was the first Shostakovich symphony I heard; I love it. This performance was quite mesmeric, and a huge privilege to get to it, though it waswell after midnight by the time I got back to the hotel near O'Hare airport. Shostakovich’s Symphony No. 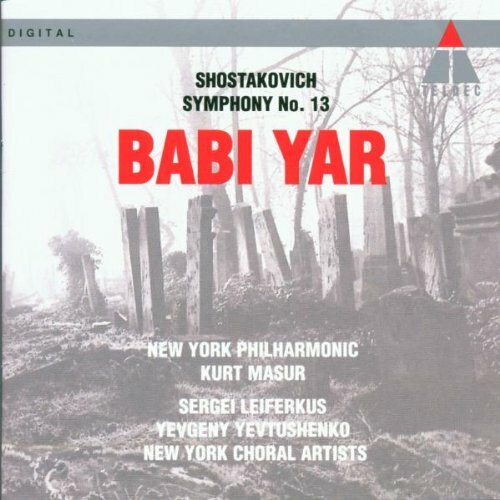 13, “Babi Yar,” looms large in the orchestral repertory of the 20th century and in the art of Chicago Symphony Orchestra music director Riccardo Muti. He first conducted the 1962 epic in Rome, in 1970, marking its Western European premiere at a time when few orchestras anywhere were playing Shostakovich’s shattering indictment of anti-Semitism, genocide and the despair of life in the Soviet Union. So by opening the CSO’s subscription season Friday night in Orchestra Hall with the same work, Muti was sending a message. For anyone who doubted it, he prefaced the performance of “Babi Yar” with a few well-chosen words. After acknowledging the presence of Irina Shostakovich, the composer’s widow, Muti told the audience that in July he had been to Babi Yar, the ravine outside Kiev where 33,771 Jews were executed by machine gun on Sept. 29 and 30, 1941. The toll had continued in coming months, with about 100,000 Jews and other Nazi targets murdered there by German troops and their collaborators. Then Muti urged listeners to follow the text’s translation in the program book and proceeded to lead the orchestra, the men of the Chicago Symphony Chorus and bass Alexey Tikhomirov in the work’s solemn opening pages. As this first movement unfolded, the sorrow of the scene and the anger of the poem’s protagonist deepened. 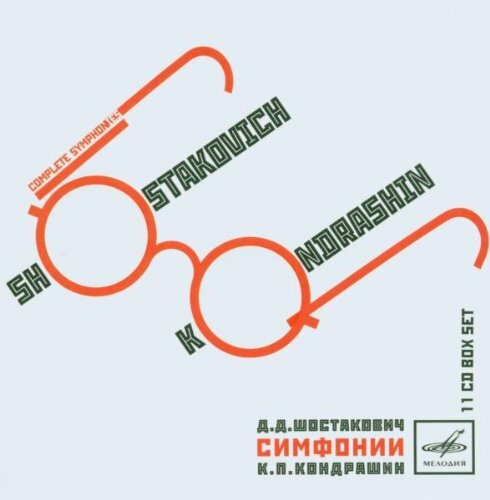 “I am behind bars, I am encircled/ Persecuted, spat on, slandered,” sang Tikhomirov, robustly, to the accompaniment of Shostakovich’s slashing strings. “They guffaw ‘Kill the Yids! Save Russia!’ ” sang the choristers, the orchestra snarling in the background. Before long, the symphonic passages built to a crescendo, Shostakovich’s outcry given volcanic force by Muti and the CSO. As this opening movement reached its climax, vocalists and instrumentalists joined forces in passages both tragic and heroic. This movement alone would have been enough to ensure the immortality of Yevtushenko’s words and Shostakovich’s embodiment of them, but the Symphony No. 13 expands upon both men’s unblinking criticism of life in the USSR. The acidic dissonance, mocking character and circus-like passages of the “Humor” movement suggested that sarcasm offered Soviet dissidents their only defense against state oppression. The bleakness and rage that coursed through “In the Store” (a poignant portrait of long-suffering Russian women), the terror that radiated from “Fears” (menacingly evoking life in a police state) and the indictment of lies that can propel “A Career” (which salutes persecuted truth-tellers) were sharply drawn by Muti and colleagues. And yet after all this anguish, the score ended with a slender ray of light, not only via Yevtushenko’s final lines but also Shostakovich’s serene writing for strings. Muti brought extraordinary tenderness to these last pages, in effect giving listeners a desperately needed reason to hope. The all-Russian evening began with the CSO’s first performance of Prokofiev’s Sinfonietta, Op. 5/48, an embryonic piece most valuable for the ways in which it foreshadowed the breakthroughs of his beloved “Classical” Symphony. As such, the Sinfonietta offered a gentle prelude to the ordeals yet to come. Kurt Masur conducted the New York Philharmonic in the 13th and one of those performances is on CD. Yevgeny Yevtushenko spoke his poems on that occasion and I believe it's on the CD as well. Slavic music brought out the best in Masur, I believe. It's a pity that his plan for a Shostakovich symphony cycle with the Philharmonic didn't happen - word was that Deborah Borda vetoed it for reasons unknown, and it was supposedly one of several causes of friction between them over programming until Borda left for the Los Angeles Philharmonic. 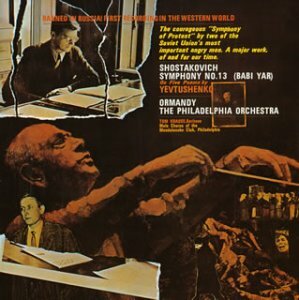 I attended both the Western premiere of XIII in Philadelphia w/Ormandy conducting while I was attending Villanova and studying the Russian language (we read Yevtushenko's poetry in class), as well as Masur's performence with Yevtushenko reading his poetry before a rapt audience, and have both recordings. This symphony opened my eyes at a tender age to the horrors in the world, and has stayed with me throughout my life as a masterpiece of political protest. At the time it was premiered in Russia, certain textual changes were mandated by the Soviet government and were recorded by Kondrashin. Needless to say, I prefer the Ormandy, which was briefly available on CD in Japan (I have a copy). Barney, I envy your experience, and am glad one of us was there in Chicago. I wonder, will there be a recording? I like that phrase, masterpiece of political protest, and will probably use it (without attribution!) in a short piece for the Australian Book Review about the three or four best musical experiences of 2018. They get a variety of writers to do this, including theatre etc. Alas, I have only about 150 words, which doesn't give me room to explain who you are, Brian. As to a recording, one can certainly hope. I seem to remember microphones over the stage. I have three accounts of the symphony: Gothenburg with Jarvi, the Vienna SO with Inbal, and Chicago with Solti. Chicago Symphony Orchestra concerts are recorded for broadcast, but these recordings are seldom published except in commemorative sets by the orchestra itself. Most likely you'll have to rely on your memory. I can't count the number of performances that I've wished were published on records. Hardly any of them have been, but a Vienna Philharmonic/Szell concert I attended with my father was issued as a DVD on the Andante label and has been uploaded to YouTube. Too bad he's no longer here to see and hear it. I love the Babi Yar symphony just as you do, Barney, and your review was one of the strongest and most poetic I have read. KUDOS for that. But I do not share your slighting of the Prokofiev Sinfonietta. You should know that that work is more popular in Chicago than in many places because Dieter Kober, former music director of the Chicago Chamber Orchestra, considered it a great work. At a concert which I attended which he conducted, he played the Sinfonietta and spoke at length about why he admired the work, even though he was not generally in the habit of doing so. He also recorded it on the Centaur label. A much better recording by Neeme Jarvi is also available. I have individual symphonies by Shostakovich. 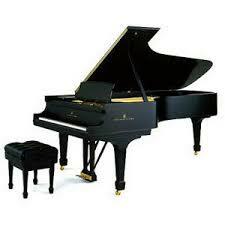 I note a number of complete recordings of the symphonies have been issued. The symphonies are not a top priority for me, but if one was looking to get a complete set, what's the recommendation? I recommend the Oleg Caetani set if you're only going to have one. By far the best sound, and most of the interpretations are excellent as well. 1. The recordings by Yevgeny Mravinsky, especially his earliest. He was DS's chosen interpreter until the symphony $13 and I think his best. But he didn't record all 15 symphonies, and I don't know whether the ones he did record have been reissued as a set. Also the violin concerto no. 1 with Oistrakh. 2. Kondrashin. Straightforward, powerful interpretations of all 15. 3. Rostropovich. Definitely not straightforward, but he knew the composer (who dedicated the first cello concerto to him) and brought his own special view to this music. Watch out with respect to earlier Soviet recordings of the Thirteenth Symphony. Because of government pressures, the text in the first movement ("Babi Yar") was changed to soften the emphasis on anti-Semitism after the original premiere. As far as I can determine, all recent recordings, as well as all recordings made outside Russia (including that Ormandy recording), employ the original text. I am not certain as to whether Kondrashin used the original text in his recording. Rostropovich, whose recording was made outside Russia, definitely did. Mravinsky, who apparently was something of an anti-Semite, took issue with the Thirteenth Symphony and bailed out of it (Kondrashin did conduct the premiere). Mravinsky never recorded the work in any form. If you want good complete cycles, Ashkenazy and Jansons are fine, as is Petrenko. I, too, recommend the Oleg Caetani set (He's actually the son of Igor Markevitch. ), as a first choice among modern sets. For sheer electricity Kondrashin's set, recorded in stereo while Shostakovich was still alive, would be my first choice. A standout single performance of VIII by Mravinsky/Leningrad recorded at the Western Premiere live by the BBC will knock your socks off! Petrenko's set deserves a mention, although I find his V overblown and clownish. For V, be sure you have either Bernstein (1959 or the digital DVD concert in Japan). Watch out with respect to earlier Soviet recordings of the Thirteenth Symphony. Because of government pressures, the text in the first movement ("Babi Yar") was changed to soften the emphasis on anti-Semitism after the original premiere. Quite so, but Shostakovich authorized both versions, and his music remained unchanged. As for Mravinsky and the 13th symphony, as I understand it he refused to conduct the premiere because he thought it would get him into trouble with the authorities, who were pressuring him not to do it, and lacked the courage to take the risk. Whether he was also antisemitic I don't know. Shostakovich probably authorized the revised, bowdlerized version because he felt he had little choice. The option would probably to have had the work completely banned at that point, with uncertain consequences for him. His health problems had started to surface, and he had already faced off with the commissars twice, in 1936, and again in 1948-1953. He probably figured that he would not survive a trip to the gulag. I will not buy a recording with the revised lyrics of "Babi Yar" even if the music is unchanged. I would discount the idea that Mravinsky was an anti-Semite. You'll have to prove it if you want me to believe it. My reason is that Andre Previn, who is Jewish, had a very good relationship with Mravinsky. They met several times and Mravinsky pointed out to him the he had used a corrupt edition of the Rachmaninoff symphonies to make his first set of recordings of them. That's why he did a second set after Mravinsky provided him with the urtexts. Maybe so, but he still bailed out of the Thirteenth Symphony, and that apparently caused a substantial break in relations between Shostakovich and Mravinsky. I think that probably had more to do with political cowardice that anti-Semitism. After all, Mravinsky was one of the few Soviet artists who never joined the Communist Party, and they were already suspicious of him for that reason. He got away with it for the same reasons that Furtwangler got away with lots of things the Nazis would not tolerate from anyone else. First of all, the only reason Mravinsky ever spoke of publicly was that he was only interested in art, not in politics. And secondly, he was indisputably the Soviet Union's greatest conductor, and it just would not do to dis him as long as he was "reasonably" compliant. It was not my review but by Howard Reich of the Chicago Tribune. I'm sorry if that was not clear. Actually I did enjoy the Prokofiev, a composer I generally esteem very highly. Bernstrein recorded many of the symphonies - not, I think, a complete set - and he is always worth listening to. Very individual approach. My only complete set is Jarvi, but Haitink and Karajan also recorded many. I think the new Andris Nelsons set at Boston will be well worth collecting. He's started really well. I, too, am fond of Bernstein's V & VII, no question. When Bernstein brought the Chicago Symphony to NY in Avery Fisher Hall the year he recorded VII for DGG, I was in the audience seated on the front row right next to the cellos, and it was one of the greatest concerts I've ever attended. I, too, have the Ormandy/Philadelphia with Tom Krause, baritone on the Shostakovich #13 [Japanese RCA 38298] and also the Masur/NYP with Sergei Leiferkus, bass, and poet Yevtushenko reciting the poetry [Teldec 90848]. I think both are excellent but if I had to choose but one, it would most likely be the Ormandy. Fact is, I really don't need more than those two. It was interesting listening to these two discs one after the other.